It is no secret that lead exposure causes significant health issues for humans, especially in children. If exposed, children may suffer from neurological and intelligence deficits, stunted growth, anemia, and in rare cases, seizures, coma and death. If a mother is exposed during pregnancy, the fetus may be harmed by lead exposure and display reduced growth or premature birth. Adults who are exposed to lead may experience hypertension, impaired kidney function, and reproductive problems. Lead is a naturally occurring element that has been used by humans since Ancient Rome. Lead was found to have a variety of uses due to its durability and resistance to corrosion, but many of its uses have been banned in the United States due to its detrimental effects on human health. According to The United States Department of Housing and Urban Development (HUD), the most common sources and pathways for lead poisoning in children are paint, dust, and soil. Lead was a primary ingredient in paint prior to 1950, and is therefore commonly found in the painted surfaces of older residential buildings. The most common cause of lead poisoning is via hand-to-mouth transmission of lead contaminated surface dust, which originates from lead-based paint covered surfaces that have deteriorated over time or that have been demolished or renovated, leaving dust behind. Similarly, lead in soil may result from the deterioration of exterior paints. Contaminated soil may also be found at sites that contain urban fill or other sites including industrial buildings, gas stations, and tracked into a house on a resident’s shoes. How do I find out if I have Lead in my Home? 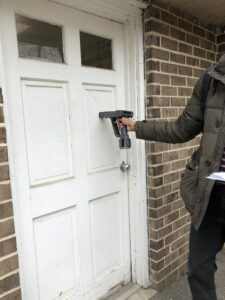 To find out if lead-based paint exists at your property, samples can be collected by a United States Environmental Protection Agency (USEPA) certified lead inspector and analyzed at a certified laboratory. Alternatively, the inspector may use a portable X-ray Radar Fluorescence (XRF) testing gun to analyze the various paint colors and substrates (plaster, metal, wood) and provide results in real time. XRF guns are also capable of screening soil for lead. 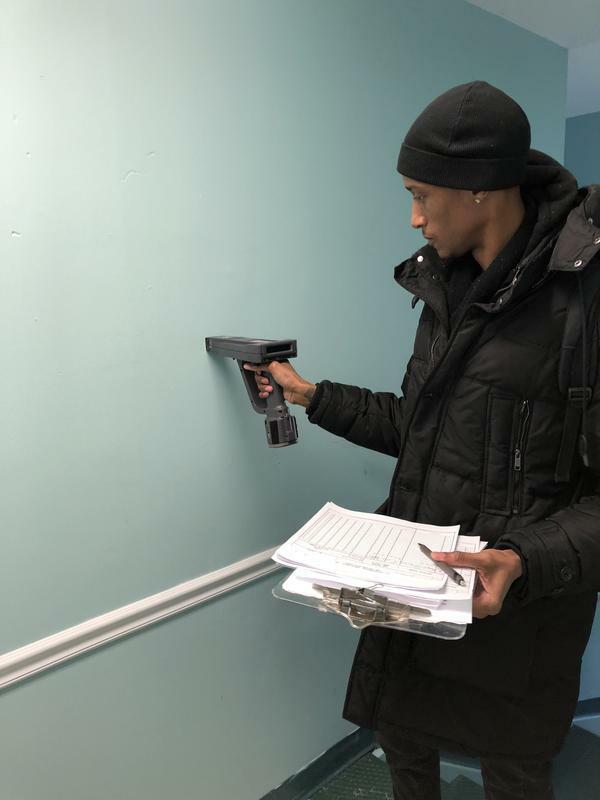 Utilizing an XRF gun means that paint chip samples do not have to be cut out, preventing damage, but they do utilize X-ray radiation which can be harmful to humans. Be sure to have a licensed Lead Based Paint Inspector perform this work and stay as far away from the XRF as possible during testing. If you are concerned about the potential presence of lead at your property call Walden Environmental Engineering at (516)-624-7200 (NYC – Long Island), (845)-745-0888 (Hudson Valley Area), or (518)-698-3012 (Capital District Area) for a free consultation!